Madigan made… a project for SheKnow.com. Mother’s Day is almost here… do you have a gift idea for mom yet? 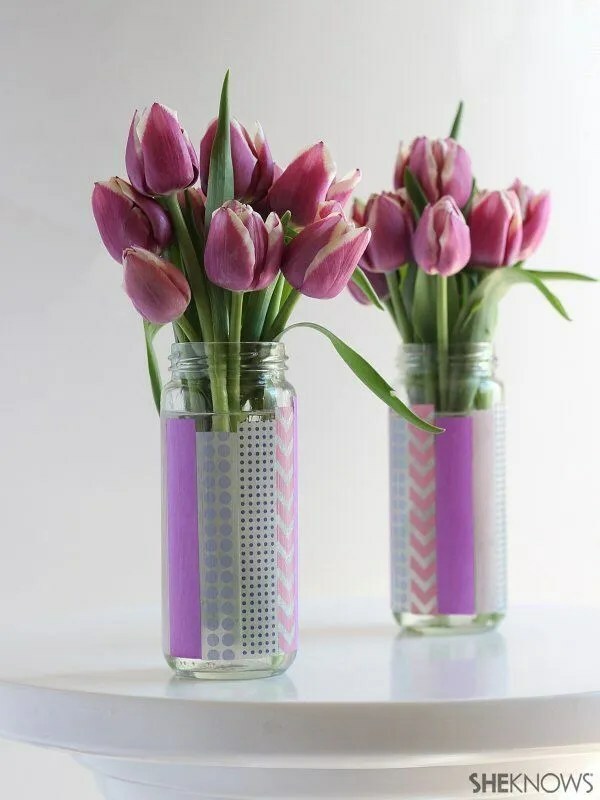 I recently made these quick and easy DIY washi tape vases for hostess gifts Easter weekend and I think they’d make an adorable gift idea for Mom, too! All you need are a few craft supplies, a jar from your recyclables and a bouquet of flowers. This would be a fun project for kids, too. The project is simple enough that crafters of almost any age can get involved. Join me over on SheKnows to find out how to make this easy DIY washi tape vase.